We are now living in an age where most of us spend the majority of our waking hours staring at a digital screen. Studies suggest that 60% of people spend more than 6 hours a day in front of a digital device. All of these devices emit something called blue light. 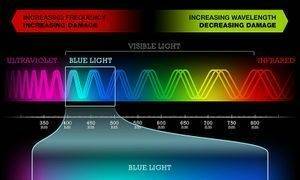 Blue light is part of visible light in the electromagnetic spectrum right next to UV light. The electromagentic spectrum is made up of wavelengths. The shorter the wavelength, the higher the energy. The length of the waves is measured in nanometers (nm), Every wavelength is represented by a different colour, and is grouped into different categories: gamma rays, x-rays, ultraviolet (UV) rays, visible light, infrared light, and radio waves. The human eye can see only one part of this spectrum which is visible light. Visible light ranges from 400 nm to 700 nm seen as violet, indigo, blue, green, yellow, orange and red. Blue light is at the shortest end of the visible light spectrum at 400 to 500 nm and so produces a higher amount of energy. All LED screens emit blue light at a wavelength of 550 nm. Studies suggest that, high exposure to the blue end of the light spectrum could cause serious long-term damage to our maculas in the back of our eyes as they absorb this blue light and can cause damage leading to macular degeneration. eyes over time. Blue light is found in sunlight, LED and fluorescent lights and LED screens from our digital devices including smartphones, tablets, desktops and TVs. Why is this important? Because blue light waves are the among the shortest, highest energy wavelengths in the visible light spectrum these “blue”wavelengths flicker more easily than longer, weaker wavelengths. This kind of flickering creates a glare that can reduce visual contrast and affect sharpness and clarity. This flickering and glaring may be one of the reasons for eyestrain, headaches, migraines, physical and mental fatigue caused by many hours sitting in front of a computer screen or other electronic device. In addition, studies have shown that overexposure to blue light can cause oxidative damage to the back of the eyes which has the potential to lead to macular degeneration as we age. 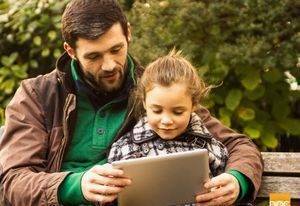 This is a concern especially in children who are starting on digital devices at a much younger age and will be on them cumulatively more that the previous generation. As children are still developing their retinal pigments, they have less ability to fight oxidative stress. WHAT CAN WE DO TO PROTECT FROM BLUE LIGHT? 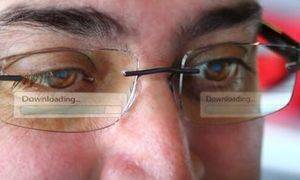 Wearing a lens treated with a blue-light filter coating helped reduce symptoms of eyestrain by half during prolonged computer exposure. a significant improvement of the following symptoms: dry eyes, sticky eyes, and the feeling of grittiness or “sand” in the eye. They also reported a trend of the overall vision and improved visual performances in situations of low contrast. As technology continues to evolve, the odds are that tablets will get even more convenient; phones will have more apps; and new digital devices will be invented, ensuring that our eyes will spend even more time staring at screens for work, school and play. How do we get the blue light protective filters? These computer glasses have a patented blue light protective coating that blocks out a significant portion of the high energy blue light from LED devices. They come in fashionable styles for women, men and children in prescriptions ranging from plano to +3.00. These are available at Clayton Heights Optometry! 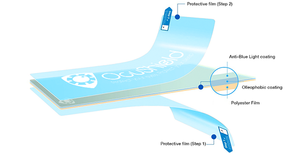 These protect your screens from scratches as well as from blue light. As of now, they are available for most apple products and limited Samsung products. These are also available at Clayton Heights Optometry! Next time you get a new pair of glasses, ask for a blue light protective coating on your lenses. Most retailers will be able to provide this for your lenses. 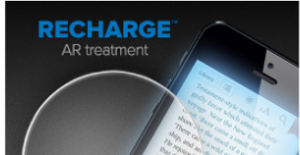 Reduce Glare -Adjust the brightness of your screen. Consider changing your background colour from bright white to cool gray. Glare reduction filters for computer screens are also available. Adjust Your Screen – Keep handheld devices a safe distance from your eyes and just below eye level. We, at Clayton Heights Optometry, are proud to be Certified Blue Light Protection Specialist by Hoya Lab Come in to discuss your preventative options! Our eye care expert can also help you with dry eye & Blepharitis treatment.